If you thought the giant inflatable climbing wall that hangs off the side of a megayacht was fun, give these toys a closer look. The company that brought the yachting world some of the most memorable—and fun—inflatable toys is at it again. 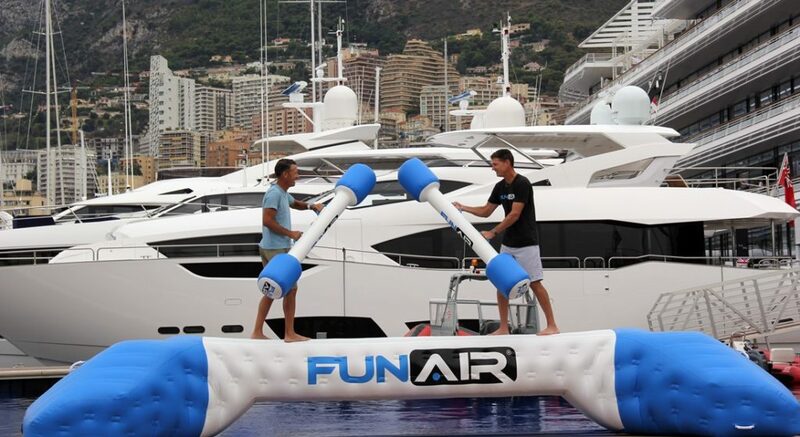 FunAir debuted two new products at the Monaco Yacht Show this week that not only promise smiles and laughs, they are bound to be the center of Instagram and YouTube hilarity. They’re Yacht Joust (above), and Yacht Golf (below). Of the two, Yacht Joust is our favorite. Challenge your friends or family members (especially siblings, if you’re like us) to a duel while standing nearly five feet (1.5 meters) above the water on an inflatable platform. The surface is non-slip, so you each keep steady footing during maneuvers. The platform overall stays stable, too, an important safety consideration. Yacht Joust comes with two lightweight batons made for use by grown-ups and kids alike. Each baton has two handles as well, making it easier for waterborne knights and maidens to battle it out in good fun. As for Yacht Golf, it’s a collection of greens, complete with real golf poles marking the holes. The collections come in threes, so you can set up a nine- or 18-hole floating course. Don’t worry about losing your golf balls in the Caribbean, or other ocean. Yacht Golf includes netting to keep them squarely on the greens. 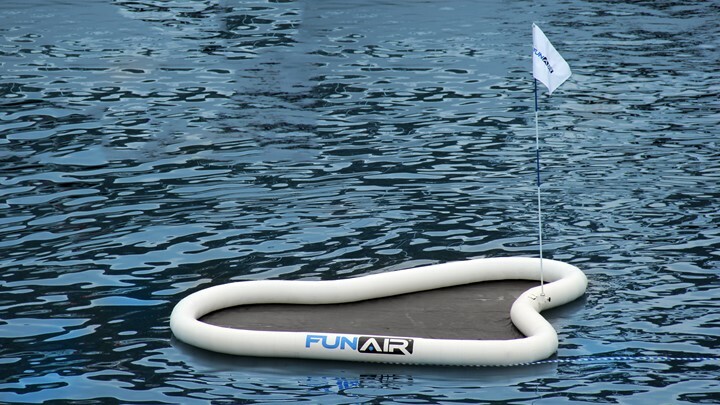 Yacht Joust and Yacht Golf, like other FunAir products, typically ship out within 72 hours of you placing your order. 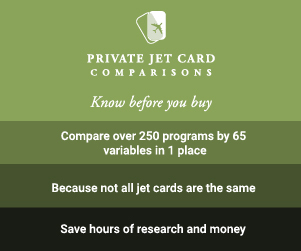 It’s due to distribution centers on both sides of the Atlantic, plus in Australia and Asia. 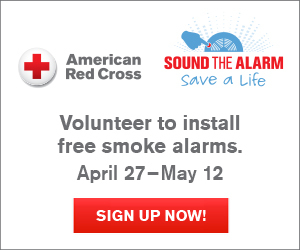 Want (need, really) them faster? FunAir pledges “quick ship” 24-hour shipping if an item is available. All that’s left to do is click and buy directly via its website.